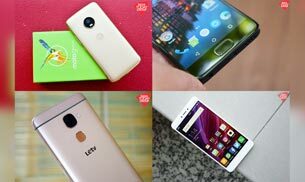 Best Smartphones for indian users under ₹15000. The days are gone when one had to buy a high-end, expensive smartphone in order to get a decent performing device with a good camera. In the last few years, companies like Motorola, Xiaomi and Lenovo have completely redefined the definition of budget smartphones. Smartphones under ₹15,000 now come with great cameras, premium metal designs and solid build quality. Also Read: Get all Tech Tips which you really want to know. The Moto G5 marks a new design direction for Motorola's G series of smartphones. The G5 Plus look far more premium than it's 'plasticky' predecessor with a metal body with chamfered edges and rounded curves. 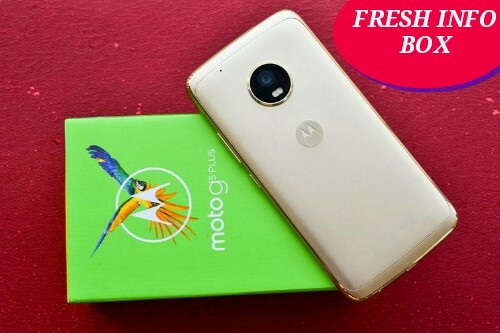 On the specifications front, the Moto G5 Plus comes with a 5.2-inch fullHD display protected by Corning Gorilla Glass 3, Android 7.0 Nougat out of the box and 16/32GB of internal storage which can be expanded via a microSD card (of up to 256GB). On the imaging front, the smartphone comes with a 12MP rear camera with an aperture of f/1.7 and dual-pixel autofocus which is up to 60 times faster in focusing according to Motorola. On the front, there is a 5MP camera. The Moto G5 Plus comes with a water-repellent coating which offers basic protection against spills and rain drops and also has Google Assistant on board. The smartphone is available for Rs 14,999 for the variant with 3GB of RAM and 16GB of internal storage and makes for an excellent buy thanks to its premium design, clean Android experience and great camera. The Redmi Note 4 not only lives up to the legacy left by its extremely popular and acclaimed predecessor, but also builds upon it in significant ways. It makes for an excellent budget smartphone thanks to its premium build, outstanding battery life, competitive pricing and above average performance. The Redmi Note 4 looks incredibly premium thanks to its all-metal body with slim tapered edges which are 5 mm at their thinnest point. On the specifications front, the Redmi Note 4 comes with the Snapdragon 625 SoC, the Adreno 506 GPU, a 5.5' 2.5D fullHD display and a 4,100mAh battery. The smartphone is available in three different versions in India - a low-end variant with 2GB of RAM and 32GB storage for Rs 9,999, a mid-tier model with 3GB of RAM and 32GB of storage for Rs 10,999 and the top model with 4GB of RAM and 64GB of internal storage for Rs 12,999. All three models have the same hardware inside except for the RAM and internal storage and also support storage expansion via a microSD card. On the imaging front, the smartphone comes with a 13MP rear camera with phase detection auto focus and an aperture of f/2.0. The rear camera lens has a 25% larger pixel area as compared to the Redmi Note 3 and is sourced from Samsung and Sony. On the front, there is a 5MP camera with a 85 degree wide-angle lens. The smartphone is available on Flipkart and comes in three color variants - Dark Grey, Gold and a super sleek Matte Black. Originally launched at Rs 17,999, price cuts have made the Lenovo Z2 Plus an incredible value for money proposition. At Rs 14,999, it comes with the high-end Qualcomm Snapdragon 820 processor, good battery life, a minimalist yet durable design and excellent one-handed usability. The smartphone is available in two variants - one with 4GB of RAM and 64GB of internal storage which is currently retailing for around Rs 17,500 on e-commerce websites and one with 3GB of RAM and 32GB of internal storage which is now available for Rs 14,999. The smartphone is powered by the Qualcomm Snapdragon 820 SoC, which is the same processor found on the much more expensive Sony Xperia XZ and OnePlus 3 paired with the Adreno 530 GPU and a 3,500mAh battery. On the imaging front, the smartphone features a 13MP rear camera with a sensor size of 1.44 microns, phase detection auto focus and electronic image stabilisation along with an 8MP front camera. The smartphone comes with a nearly stock version of Android out of the box. There is a fingerprint sensor embedded into the home button which can be used to perform several quick tasks such as invoking Google Now and opening the app switcher. The Honor 6X offers a lot of smartphone for your money. A true jack of all trades, it comes with a great 1080p display, dual cameras on the back, a 3,340mAh battery, DTS audio support and powerful internals - all for just Rs 12,999. The Honor 6X's all-metal body looks quite premium and also feels good in the hand thanks to its curved rear. On the specifications front, the smartphone comes with a 5.5' 1080p display, Huawei's custom built Kirin 655 processor and a 3,340mAh battery. It comes in two variants - one with 3GB of RAM and 32GB of internal storage for Rs 12,999 and one with 4GB of RAM and 64GB of internal storage for Rs 16,999. The internal storage of both can be expanded via a microSD card of up to 256GB. The distinguishing feature of the Huawei Honor 6X is the dual camera array at the back which comes with a 12MP primary lens and 2MP secondary sensor used for depth perception. The dual camera setup comes with an LED flash and phase detection autofocus. The dual rear camera system on-board the Honor 6X can be used to achieve fancy bokeh effects both before and after taking a shot. 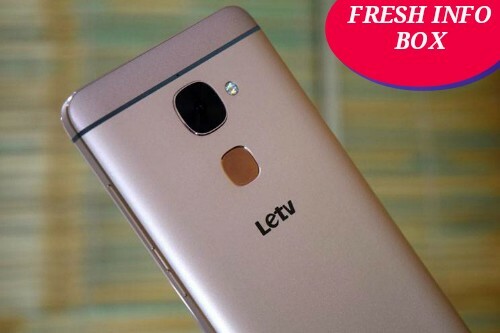 LeEco's recent financial struggles do not take away from the fact that the LeEco 2 is an excellent all-rounder budget phone. It has a great display, above average performance, LeEco's promising content ecosystem and solid build quality. The Le 2 features a design similar to its predecessor with a metal body and stellar build quality. On the specifications front, the device comes with an octa-core 1.8 GHz Snapdragon 652 processor, a 5.5' fullHD IPS display protected by Corning Gorilla Glass 3, 32GB of internal storage and 3GB of RAM. The LeEco Le 2 comes with a 16MP rear camera with an aperture of f/2.0 rear camera, a dual LED flash and a sensor size of 1/31" inches. On the front, there is a 8MP sensor with an aperture of f/2.2. LeEco's content ecosystem offers users access to 2,000+ movies, 50 live concerts throughout the year, 100+ live TV channels and more than 3.5 million songs right from their smartphone. A rather controversial feature of the LeEco Le 2 is its lack of a 3.5mm headphone jack. It uses CDLA technology to transmit audio through the smartphone's USB-Type C port. The company claims that this results in the transmission having a higher higher bit rate, more power and lesser signal noise, thereby providing high resolution, nearly lossless audio. The LeEco Le 2 is available for Rs 11,999 and makes for a great buy if you can live without a headphone jack.